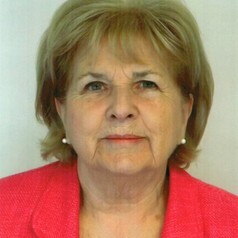 June Purvis’s main research interests are in women’s and gender history in Modern Britain (19th and 20th centuries). Her specialism is the suffragette movement in Edwardian Britain on which she has published extensively. Her single authored book of the leader of the suffragette movement, Emmeline Pankhurst: a biography (2002) received critical acclaim. Her most recent book, the co-edited Women’s Activism: global perspectives from the 1890s to the present (2013), looks at the international dimension of women’s activism. June is also the Editor of the international journal Women’s History Review (Routledge), the Editor of Studies on Women and Gender Abstracts (Routledge), the Editor for a Women’s and Gender Book Series with Routledge, a regular contributor to BBC History Magazine and reviews regularly for The Times Higher Education Supplement. She sits on the Women’s History Network (UK) Committee as the representative of the International Federation for Research in the History of Women and is also on the Advisory Board of Women and Social Movements International. She has made frequent appearances on BBC radio and TV.